After coming to New Zealand and finally getting a job, I haven’t had much time to work on personal stuff. Always something else to do. I did, however, manage to finish 2 comics. 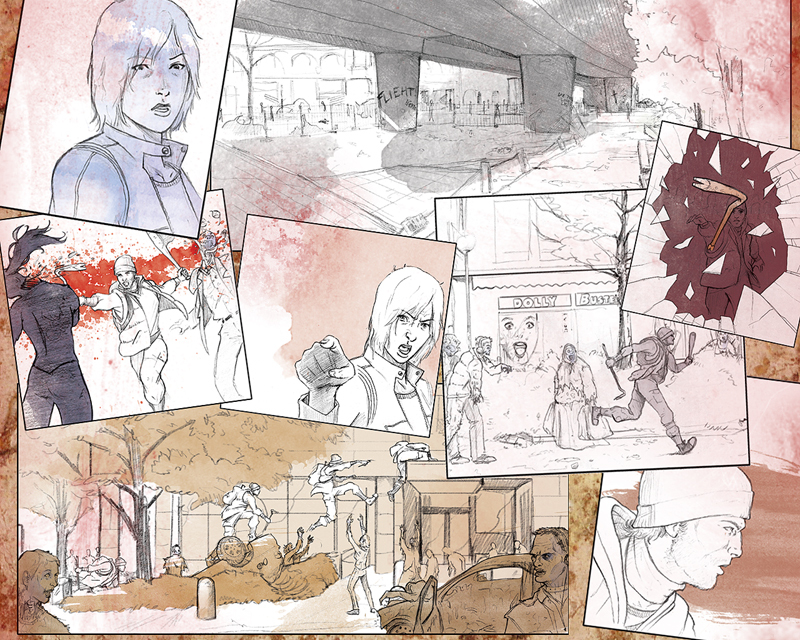 One of them, a 22-page comic for the second volume of Die Toten, will be published by the wonderful Zwerchfell Verlag. The story was written by my good friend Stefan Dinter. It plays out in Stuttgart, Germany, and people living there might (hopefully) recognise a few familiar places. I originally planned on having “real” coloring for the pages, but my time schedule was overthrown when the Christchurch earthquake hit us. I had to come up with something quickly, so I decided to go with watercolor nuances, hightlighting my pencils. I hope noone will be disappointed by my not-so-rotten zombies. The story plays something like 2 weeks after the outbreak and my little research told me that corpses turn blue around that time, which is where I went with them. George Romero was right with his Dawn of the Dead zombies! Die Toten 2 will be out this October in Germany and I hope you enjoy Stefan’s and my contribution. You are currently browsing the archives for the comic category.